Welcome to the ScoreStream GM Promotional Playbook! We are excited to have you on board as a General Manager, and we want to ensure you get the most out of ScoreStream. As a General Manager, you are the leader of your team’s fan base. You care about representing your team and getting as many other fans engaged in the game as you can. Just stepping up as a GM is plenty, but if you’d like to do more to engage your fans, you’ve come to the right place! We have already put together tips on getting ready for game day which you can find here. In this post, you’ll find ideas and examples of how to get your local community involved using ScoreStream using other platforms outside of ScoreStream. Note: If you are not set up as a GM, please email us at info@scorestream.com. We will happily get you set up! ScoreStream brings fan driven scoring of local sports to users in real-time. Our mobile app allows fans, GMs, and partners to post scores, photos, and video and engage in real-time conversations with other fans. Our desktop suite of tools empower GMs to schedule games in advance, create online scoreboard widgets, and monitor/update scores in real time. This guide will provide you with tips for utilizing and promoting the ScoreStream platform to promote your team and engage with your fellow fans. Once you are set up as GM, take a look at our tutorials for step-by-step guides on how ScoreStream works. If you aren’t looking to create a scoreboard for your team’s website, you can leave the widget sections for later. 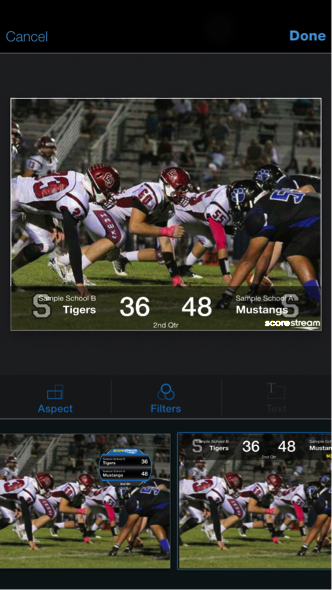 ScoreStream Mobile App: score games, upload photos and videos, post to social media and more. 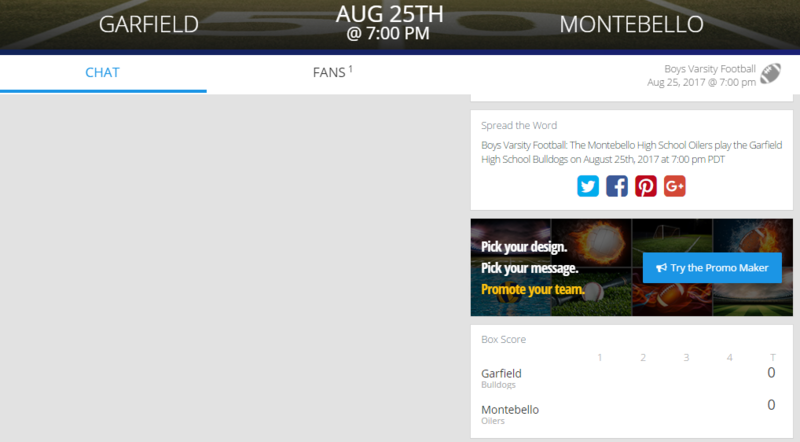 ScoreStream App tutorial: this is an app tutorial created by one of our partners. GameManager: find, follow and update games in real-time. GameScheduler: schedule games in advance to display upcoming games on your scoreboards. WidgetCreator: create an online scoreboard widget that pulls in scores for your team(s) in real-time. WidgetManager: manage, edit and update existing scoreboard widgets. When you make a change, the scoreboard widget updates automatically. There are a ton of ways to use ScoreStream to interact with your fans, remind them about upcoming games or rallying their team spirit. Check out or full post on tips for Getting ready for Game Day! There are many ways to help engage more fans through social media. We’ve compiled some tips to help you increase interaction with your followers. Post in the App: ScoreStream is where fans go to post scores and discuss games. You can post in the app within team pages to engage your team’s fans. Post from the App: You can post to Twitter and Facebook direct from the app. See our mobile app tutorial if you need some pointers on using the app. Pre-load your hashtag to accompany every post. Posting to a Team Page you manage on Facebook? We have a guide on how to do that too! Photos and Video: Use our app to make your photos and videos awesome! ScoreStream has photo filters and customizable scoreboard overlays that you can create in the app and publish to your social media sites. Our mobile app tutorial has more information on the photo and video tools. Follow us and tag @ScoreStream in your updates so we can help share your content. Pre-load your hashtag for all tweets from the ScoreStream app. “@mention” team names, athletes, coaches, etc. This makes it easier for them to retweet / favorite your content. Use our photo and video features to make your photos look great with a score overlay. Attach these to your tweets to rise above the noise. Remind your followers to download the ScoreStream app for real-time scores and to add their own scores. Find, share scores and post pics & video with [enter handle] & @ScoreStream. Download the app today! Going to be at the games this HS football season? 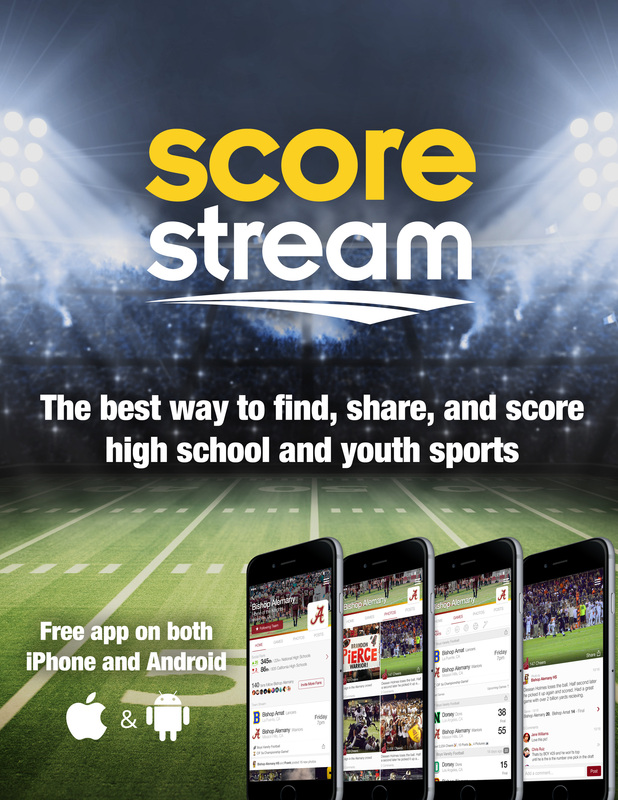 Post scores by using the free @scorestream app! Make sure you’ve liked the ScoreStream page and that we’ve liked you back. Don’t forget that if you’re running a Page (not posting to your personal page) you may need this workaround. Facebook posts may include more information than tweets, so consider posting pre-game previews and post-game recap posts on Facebook. Use the ScoreStream Promo Maker to make your social media posts more appealing. Within any game page, you’ll see the ScoreStream Promo Maker on the right side of the page. Click on it and you will see options for creating your own graphic that you can attach to a Twitter, Facebook or put on your website. Write blogs, articles, and other opportunities for write-ups to highlight ScoreStream on big game days. Blog Idea: write up a recap of a game and link to the ScoreStream team page for a complete recap of the game including all scores, posts, and photos/ video sent using ScoreStream. 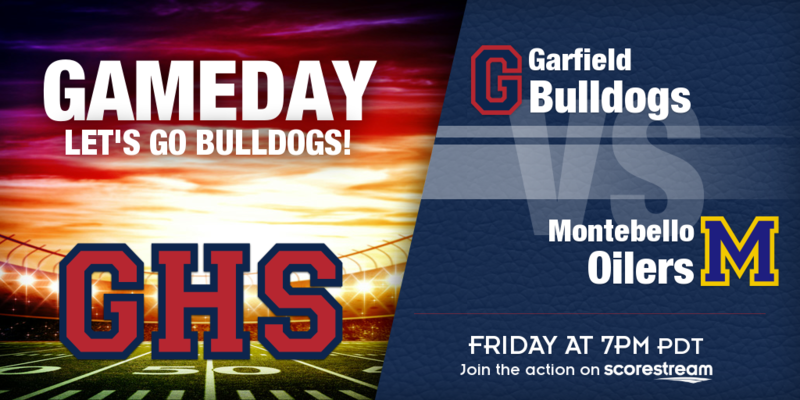 Have a call-to-action to download the ScoreStream app. Reminding fellow fans to enter scores, photos and videos into ScoreStream. We know it’s not easy to make it to every game. Other fans can help you fill in the gaps for the games you don’t make it to. Example: “We need your help covering Team X! Download ScoreStream for realtime high school sports scores, photos, video and more.